Water is a precious resource that should be properly conserved. In addition to reducing your impact on the environment, taking steps to manage your water usage can also help you get a handle on your utility bills. A dripping faucet may not seem like a major problem, but even a small leak wastes more water than you probably realize. In addition, a small leak now could turn into a larger problem later. Why waste water, money and run the risk of encountering a major plumbing catastrophe? 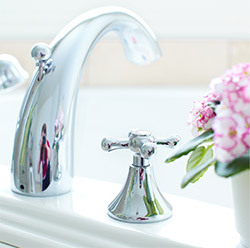 In many instances, faucets can be repaired fairly easily. Most leaks are caused by washers that have worn out. Other simple problems, like clogged aerators causing decreased water flow, can be fixed in a matter of minutes as well. Sometimes, though, more in-depth repair is needed. In these situations, it is often faster and more cost-effective to simply replace the faucet with a newer model. Cartridge and compression type faucets are more traditional in terms of their structure, while ball type and disc faucets are more complex. Certain ones are better for certain applications, so it is important to choose the one that best suits your needs as well as your personal preferences. 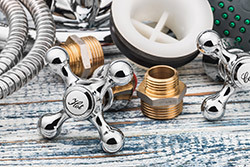 When you need dependable and affordable faucet installation and repair in Rochester, trust the plumbers at GT Campbell Plumbing. Whether you’re having trouble with a faucet or you need to have a new one installed, give us a call now at 585-355-1463.